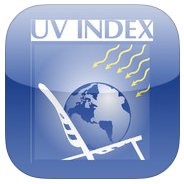 The UV Index provides a daily and hourly forecast of the expected intensity of ultraviolet (UV) radiation from the sun. Some exposure to sunlight is enjoyable. However, too much sun can be dangerous. Overexposure to the sun’s ultraviolet radiation can cause immediate damage, such as sunburn, and long-term problems, such as skin cancer. It is important to remember that people of all skin types need to be protected from overexposure to the sun. Overexposure to UV radiation poses the risk of serious health effects for everyone, but not everyone is equally at risk. For example, you may be at greater risk of contracting skin cancer if your skin always burns; if you have blond or red hair; or blue, green, or gray eyes. Other factors indicating an increased risk of skin cancer include: a history of blistering sunburns in early childhood, the presence of many moles, or a family history of skin cancer. However, it is a good idea to remember that all people, no matter what skin type, are equally at risk of eye damage. So remember to be SunWise!